Tshwarelo, pukuntšu ya Inthanete e sa tswaletšwe lebakanyana ka ge e sa kaonafatšwa! 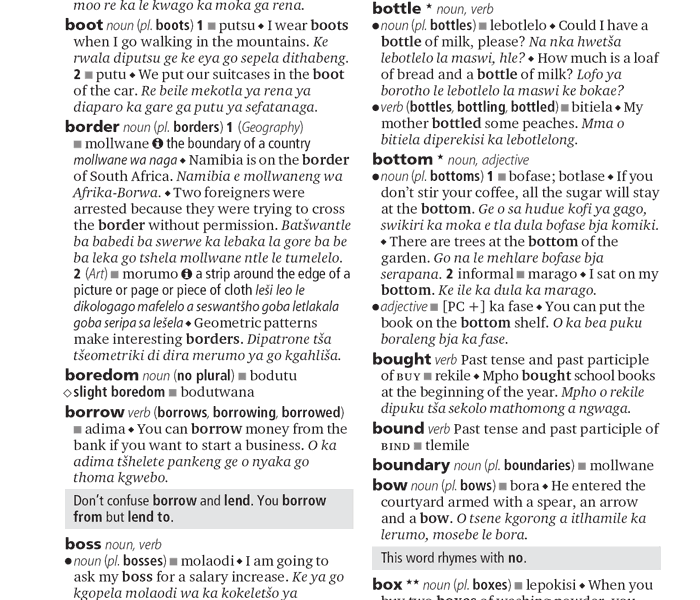 News 26 Oct 2014: New Northern Sotho - English terminology list of computer related terms. News Oct 2014: This site now more mobile-friendly! Please give it a try from your mobile device. Pukuntšu ye ya Inthanete ya Sesotho sa Leboa e beakantšwe go ya ka lenaneo la Simultaneous Feedback. E beakantšwe ka software ya go beakanya pukuntšu yeo e tsebegago ka TshwaneLex, gomme e bile gona mo Inthaneteng go tloga ka 22 Aprele 2003. • "Although this is a school dictionary, I do think that experienced language workers should make it their closest companion." 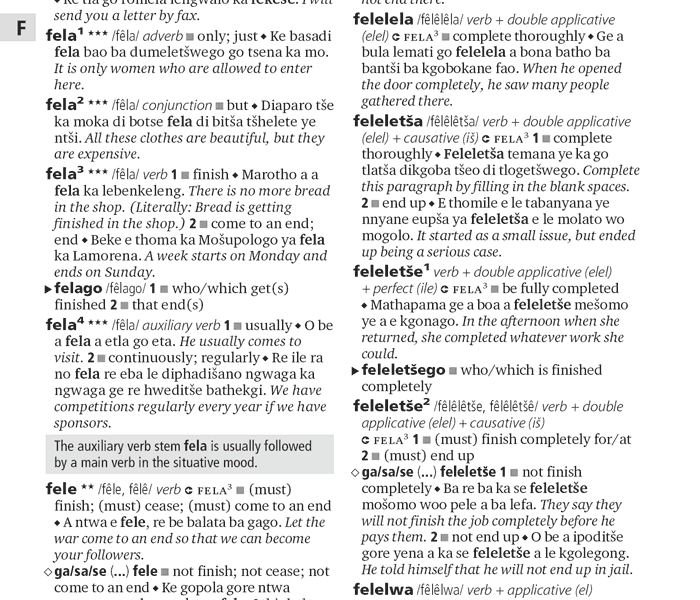 • "I was so impressed by this user-friendly dictionary which gives learners detailed information about usage of words." • "Thanks a million for this important dictionary. South Africa needs to harness our indigenous African Languages to promote an even richer cultural and linguistic living heritage." • "a work of exceptional achievement in the category of ‘school dictionary’ for which it was designed."